Julie Ann Emery knows the small screen. With popular roles on Better Call Saul and Fargo, she’s no stranger to the demands of sharp, gritty television. 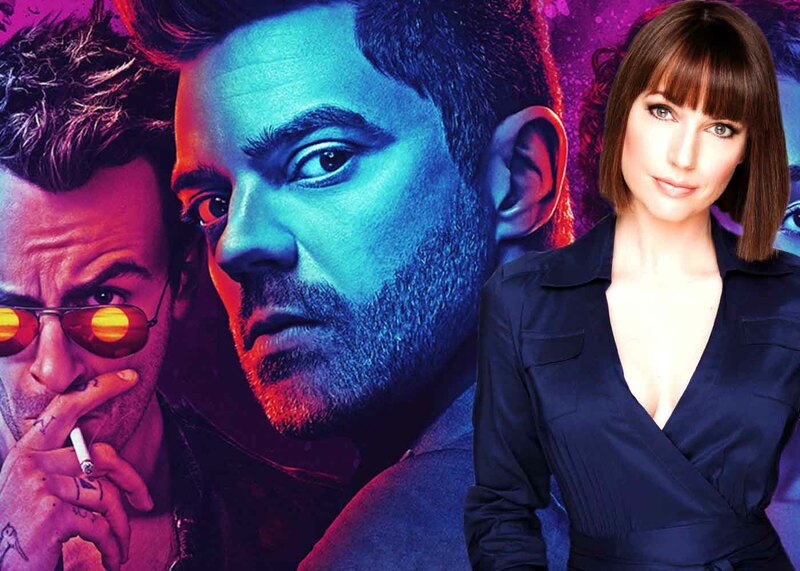 GeekFeed spoke with her about her new role in AMC’s Preacher as the cunning, complex, and diabolical Lara Featherstone. 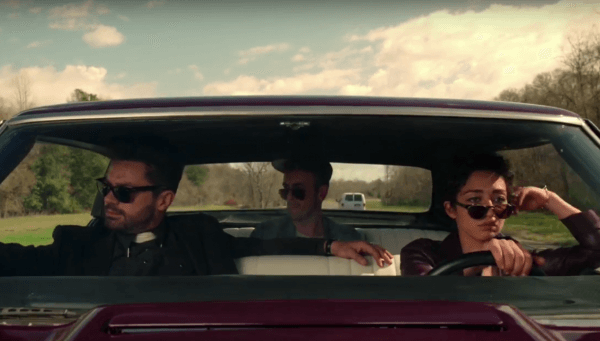 As you can imagine, our readers are big fans of Preacher—both the show and the comic. What was it about the role of Lara Featherstone that appealed to you? I was a fan of season one of Preacher before I was ever part of the show. It’s very much up my alley. I’m a fantasy and sci-fi fan, I watch almost everything on AMC, so it was a very natural fit for me … [Featherstone] as a character is driven, smart, better than almost all the men around her. She’s [proactive] in her own right. She has her own agenda going on. She is willing to use her sexuality to accomplish a mission, but is in no way driven that way as a character. She is always ten steps ahead of everybody and always the smartest person in the room … As a woman in the business, I’m always looking for actionary, complex female characters, and she accomplishes that in spades. 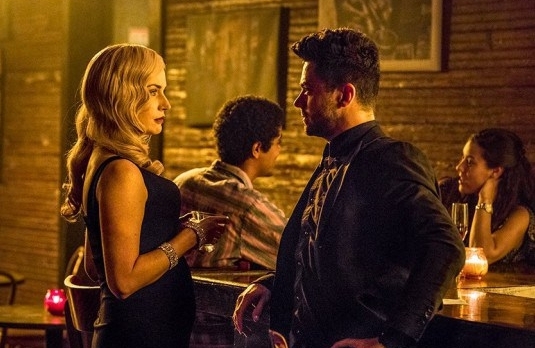 I know you were a fan of season one of Preacher. Did you dive into the comics at all? I did. I’m about halfway through the comics now. I wasn’t a big graphic novel reader growing up. 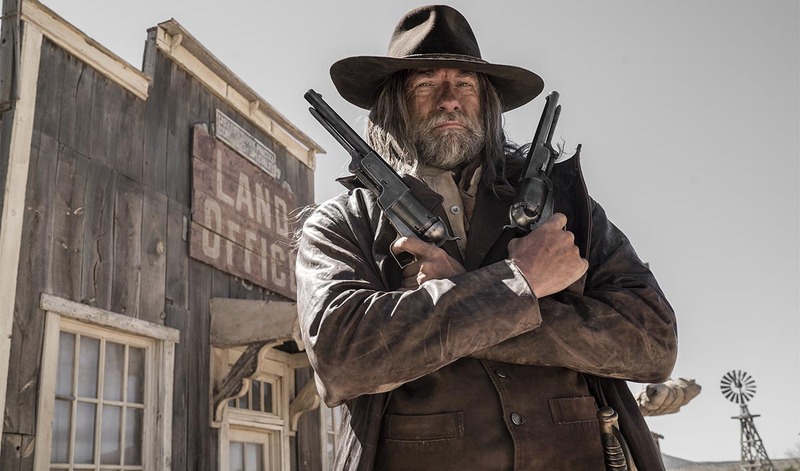 I was definitely a sci-fi and fantasy fan … [I] started Preacher from a research point of view, and I thought I would sort of clinically go through it for the Featherstone bits when I was building out my character history, but I very quickly got sucked in. I kind of have to read them slowly because panel-by-panel they’re very rich in storytelling and character. They accomplish a lot in a page. It’s unlike anything I’ve ever read, comic-wise. It’s so interesting to hear you say that. It is a different kind of reading, isn’t it? Yes, because you can’t just glance at pictures and read text. If you don’t study the panel, you miss a lot of the storytelling and … character reaction. Steve Dillon did such a beautiful job enhancing Garth [Ennis]’s writing in the artwork itself. So much happens in a nonverbal way that I’m so impressed with and intrigued by. I have more Garth Ennis graphic novels on my list to read after I’m finished with Preacher. Well, we’ll send some your way! We definitely have suggestions for what to read. Please do! [laughs] Especially geek girls. I want to know what graphic novels women are reading. One of the things so compelling to me about Featherstone is how duplicitous she is. There’s a moment in season two, episode 3 where she pulls off her blonde wig and the tone of the show instantly shifts. We realize she isn’t a helpless damsel. Was it any more challenging than usual to prepare for this role because of that duplicity? Yes, it was a challenge in all the best ways. My favorite thing about being an actor is transformation. I love to get into someone’s mind … and walk around in their shoes for a while. Featherstone contains all of that in one role. I get to have these transformational moments with her. We wanted to make Featherstone at least as good as an actor as I am. So I built Lara the jazz singer from Featherstone’s point of view. I know that sounds really weird and actor-nerdy. [laughs] The jazz singer is built all around Jesse—what pushes his buttons, how to appeal to his hero complex, how to make him feel like the rescuer. She attempts to push every button she can find…. She’s willing to do things that she disdains or take on qualities she hates in other people in order to achieve her mission. I feel like it makes her even smarter, more diabolical, and … there’s something more aggressive and impressive about it to me. Absolutely! It’s that sort of multi-dimensional characterization that makes her so compelling. Yes, and I will tell you … she’s a very challenging character, but I love that about her. It really ignites me and it’s very energizing to have something like that to do on television. I like that when they added another woman besides Tulip, they made her a badass. I love that Featherstone is such a source of strength … [S]hows don’t always do that with women. Is there a moment coming up in the show that you’re most looking forward to fans seeing? Yes, and I absolutely cannot tell you which it is. [laughs] It’s coming up! I will say this: I know people are anxious to really get deep into The Grail … There is plenty of The Grail and Featherstone coming up. You hinted at this earlier, but I want to know your perspective. Wonder Woman has been incredibly successful. Directors like Patty Jenkins and Kathryn Bigelow have seen enormous success. Fans just got a female Dr. Who. I’m curious how those kinds of achievements impact your work. Well they impact my life. If you’re a woman, they impact your life period. When I saw the female reboot of Ghostbusters, I cried in the theatre, and it’s a very funny movie. When I saw Wonder Woman, I teared up all over again because all I could think about was—I’m going to tear up now just talking about it—if I had been able to see this when I was 9-, 10-, 11-years-old, I wouldn’t have felt so out of place … So to see such powerful women on screen, it means so much to me personally. There was so much of my childhood where I felt I didn’t fit in or belong because I didn’t like the right things “as a girl.” I was more into things that boys were supposed to like. I love that we’re moving away from that moment. In my business, representation matters. I think we all have to keep pushing for broader representation for women and diverse voices on screen. We need for all kinds of people to be able to see themselves and see their stories represented. I’m so excited to see Black Panther. Wrinkle in Time is coming out and it looks so good. [pauses] I know I’m getting very sentimental, but it means a lot to me as a person, even outside the business. As an actor, it’s a very exciting moment because it feels like we’re breaking down a lot of barriers. I still audition for a lot milquetoast wife characters. That’s why I was so excited when Featherstone came across my desk. It’s so wonderful to hear your enthusiasm. I think fans are feeling that too right now, and it’s so nice to share that with the creators of this moment. According to the last US Census, women make up just a little over half the population. Wouldn’t it be great if female speaking parts made up half the roles in a movie? It’s awesome that we’re seeing leading, strong female characters come forward. I’d like to see women represented more equally across the board. That’s where we really get into some interesting storytelling. But this moment means so much to me. I teared up during Wonder Woman and Ghostbusters. I cried for my younger self. It was such a satisfying moment for 9-year-old Julie. I know you’re a very big sci-fi and fantasy fan. What other shows and franchises do you geek out on? Are there any roles you’d be particularly excited to play? Orphan Black is amazing and always has been. I will champion Tatiana Maslany forever. I think she’s done an incredible job on that show. I’m reading the Outlander books now before I watch the series. What’s next for you? What projects are you looking forward to? I have a Christmas movie, [Christmas on the Coast], coming out later this year with Bonnie Bedelia. I’m also working on two different indie films right now: I Hate Kids and Dying 101. They’re both comedies with wonderful casts. And I’m crossing my fingers we get a season 3 of Preacher. I really want more Featherstone in my life. The peek we’ve had at her has been so intriguing. 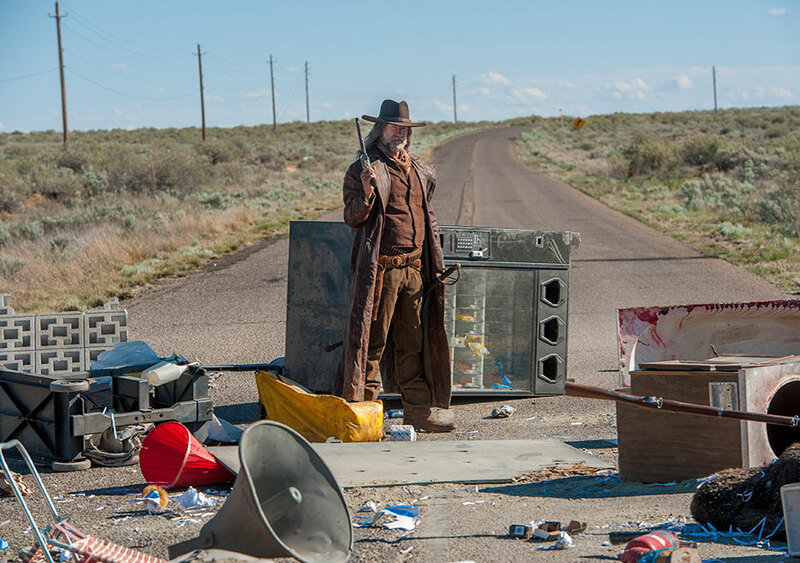 One of the great things about Preacher is the restraint the storytellers seem to have. Sam Catlin, our showrunner, comes from the Breaking Bad writer’s room, and if I learned anything from working on Better Call Saul, they show a lot of restraint in their storytelling. There’s something really tension-building there … It’s important to build character and tension. It makes for a much higher level, quality-wise, of television and storytelling. But don’t worry! [laughs] There is plenty coming and I’m super excited about it! Connect with Julie Ann Emery on Twitter. You can watch her in season two of Preacher on AMC Monday nights at 9PM ET.